The hp 30s is an entry-level, scientific calculator for high school students. enhanced constant mode lets you change any combination of numbers, variables, functions and operators. 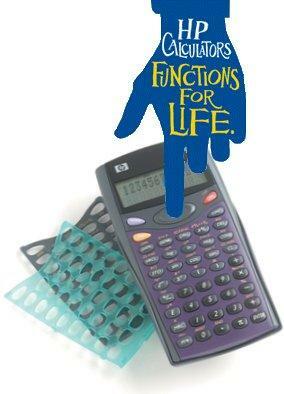 helpful in scientific applications requiring trig and math functions. calculate conversions with hexidecimal, decimal, octal or binary bases. great for sine, cosine, tangent, exponential, natural log and antilog functions. enter operators and data in the order that would solve the problem as you would on paper. Battery Type - 2 x LR44. Display - 7x5 dot matrix, 2 lines. Entry system logic - Algebraic. Memory RAM/ROM - 10 memory registers. Built-in functions - Over 66. Polar/ rectangular and angle conversions. Trig., Hyperbolics, HPSolve (root finders). Note: Permitted for use on College Board* Tests: AP*, SAT* and PSAT/NMSQT. (* College Board, AP and SAT are registered trademarks of the College Entrance Examination Board). Note: The HP 30s has reached its product end-of-life (EOL). This product is no longer available for sale. Tagged By: HP Calculators Timeline. I just need someone to walk me through the function of the calculator. I bought this for my Statistics class and its my first time to use this. I just need someone to walk me through the function of the calculator. I bought this for my Statistics class and its my first time to use this and I do not know anything of it.